Samsung has officially launched its latest Wave 2 S8530 mobile phone in India which is a successor to its popular Samsung Wave S8500 . The special thing about Wave series is that these handsets run on Sumsung’s own BADA OS. 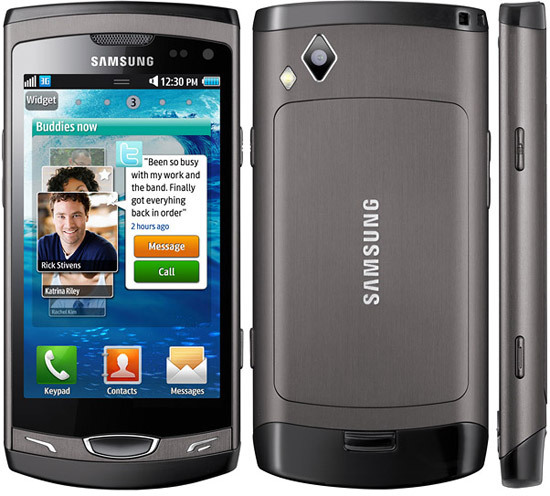 Samsung Wave 2 will also run on BADA 1.2 OS. This handset has better and improved features than its earlier version. It comes with 1 GHz processor, Touch WIZ UI 3.0, 3.7-inch Super Clear LCD and a 5MP camera with LED flash. The phone’s camera support HD video recording and playback. It also provides connectivity features like Wi-Fi, 3G and Bluetooth. The device comes with 2 GB microSD card which can be expanded upto 32 GB. The device is available at a price tag of Rs 16,999 in India. Would have bought it for sure if it was Android! Whats wrong with these people? Who wants Bada OS? Same with me. I would also have purchased it if it was Android. Anyways BADA is also a good OS. People can buy it if they like it. Bada OS can’t be compared with Android. Now that the Desire HD is available for 26k in eBay, nothing else will stand a chance. the hardwar is at part with galaxy S with almost half the price , but the OS will make the diff . Great specifications, price and features, but I am preferring an Android version. Well, i’am disappointed about samsung wave’s operating system bada os, however this os is also good but not enough as compared to android where we can get wide range of apps. full marks for AMOLED screen and resolution.also 5mp camera. using this phone. from 7 days. phone is very good. i liked it. bada is not slow and a lot of applications are available. Looks Wise, the phone is really awsome, but performance wise it does not meet the samsung standards. wave 2 is available in market with less price 14000 only . wave 2 is available in market with less price 14240 only .